Attack 1 : Masenko Ha! Shoots a powerful blast out of both hands, you better run. 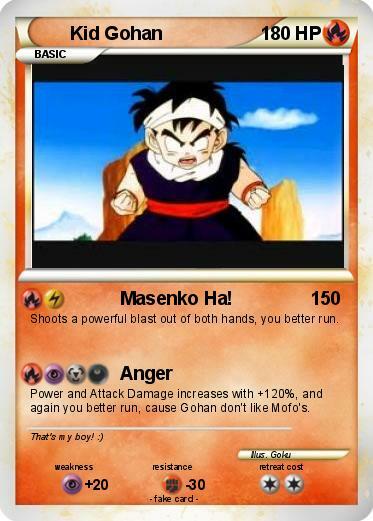 Power and Attack Damage increases with +120%, and again you better run, cause Gohan don't like Mofo's.